What are your pre-teens and teens doing this summer? Give them a boost in kindness, respect, motivation and resilience with Workshops! Every participant will have a meaningful personal experience. Workshops is an active leadership camp that has successfully inspired social, emotional, and relationship growth in youth through an award winning interactive peer mentorship program for nearly 40 years. 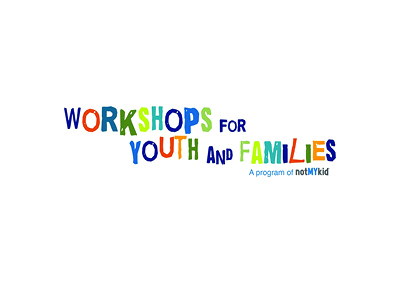 Workshops is a program of notMYkid. Workshops offers 5-day camps for age groups: 9-12, 13-15, and 15-19.